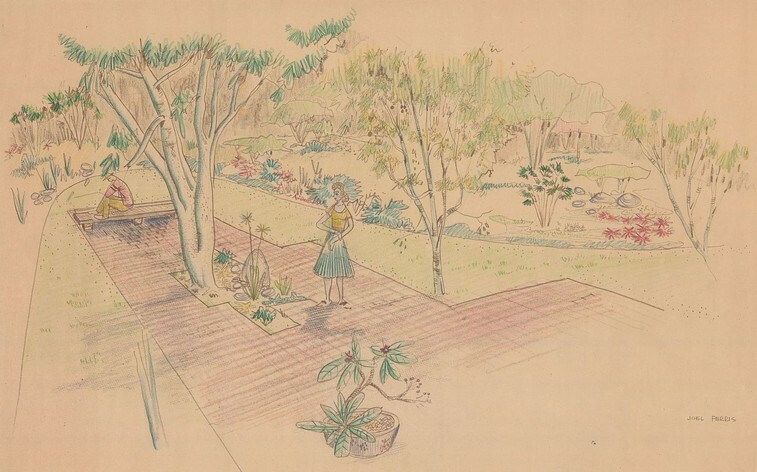 A sketch of Mary Jean and Joel Ferris in their proposed garden drawn in 1955 by Lawrence Halprin. Please click the image to return to The Landscape Architect. which he has imagined, he will meet with success unexpected in common hours.